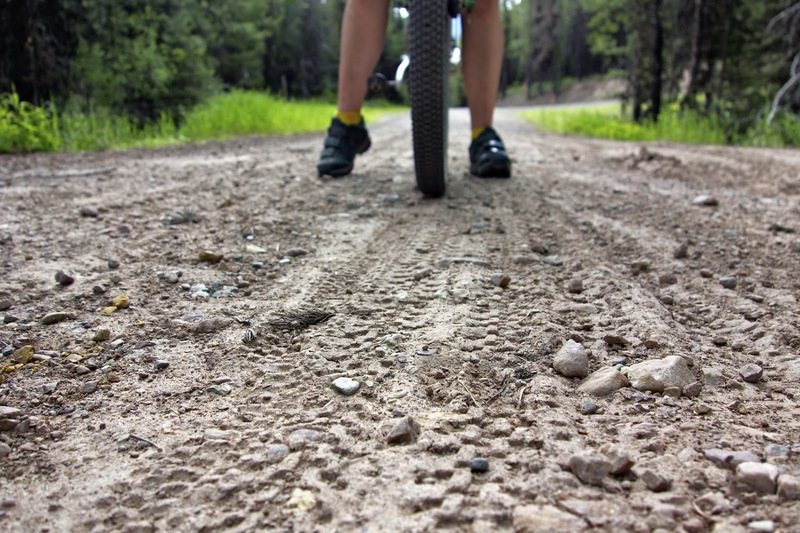 Far Out Wanderings: Ovando Montana... Friendliest Bike Town in the West. 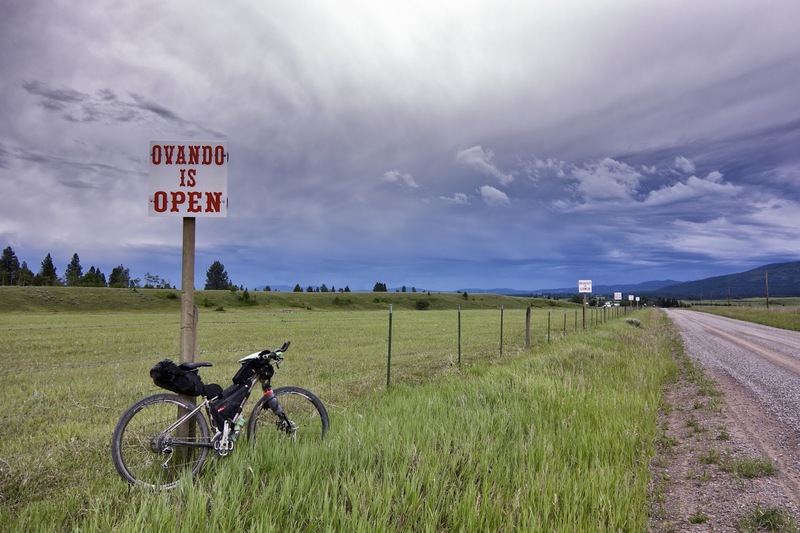 Ovando Montana... Friendliest Bike Town in the West. 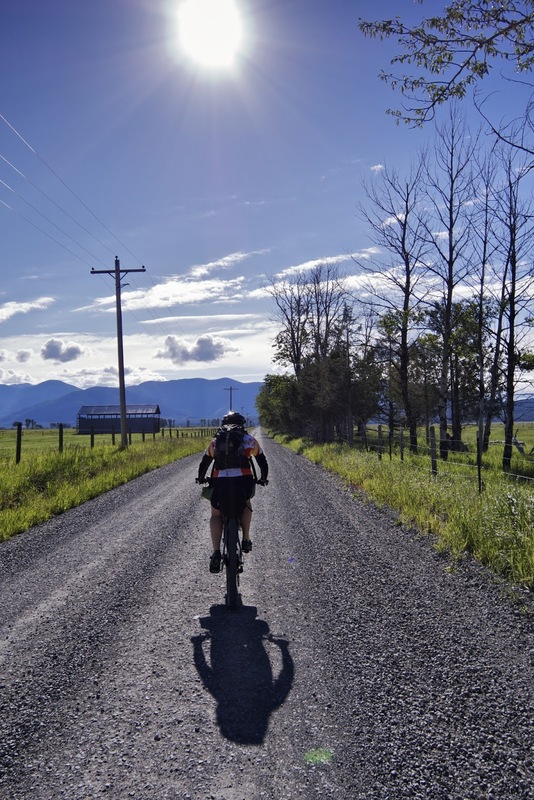 For our 12th anniversary I had planned a romantic getaway of riding our bikes through the carnivore infested back woods of the Flathead River Valley in Canada. 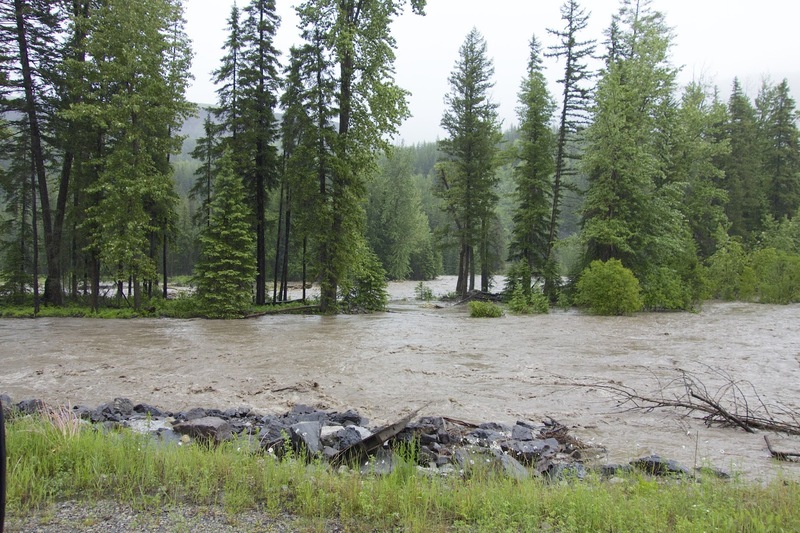 However with our usual impeccable timing we arrived in Sparwood the day the huge rainstorm of 2013 began and the next day the flooding started. Josh and I were merely inconvenienced and had to change our plans but this was devastating for the residents of the area. Our best wishes are with the people up there. Anyway we had to head south for drier riding. 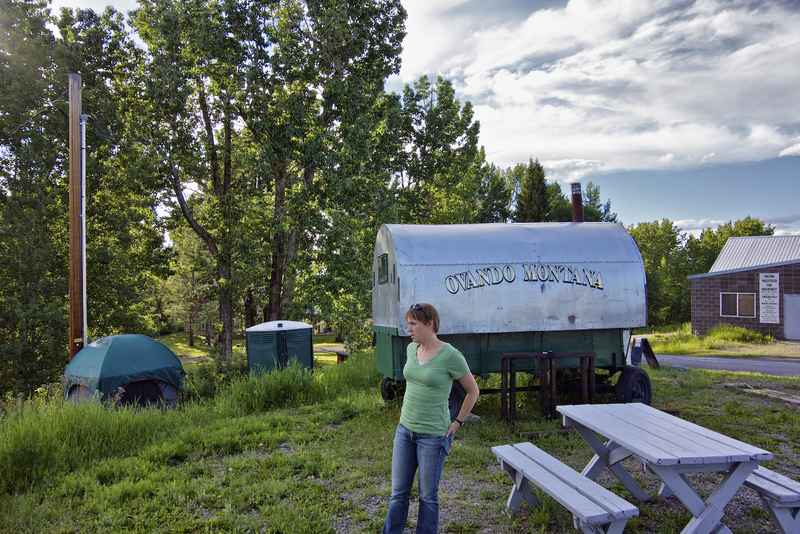 We ended up in Ovando, Montana, and we were glad we did. 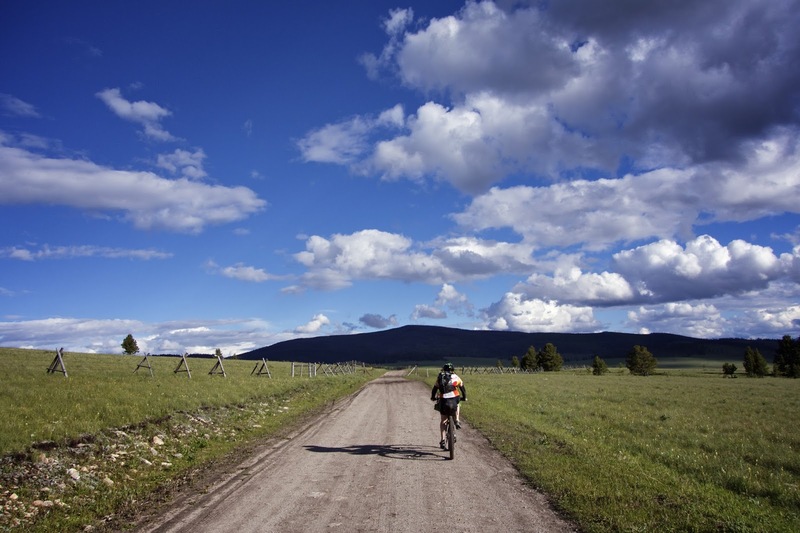 The Great Divide Mountain Bike Route goes right through town as does the Lewis and Clark Bicycle Trail. So this was the perfect jumping off point to start our tour. 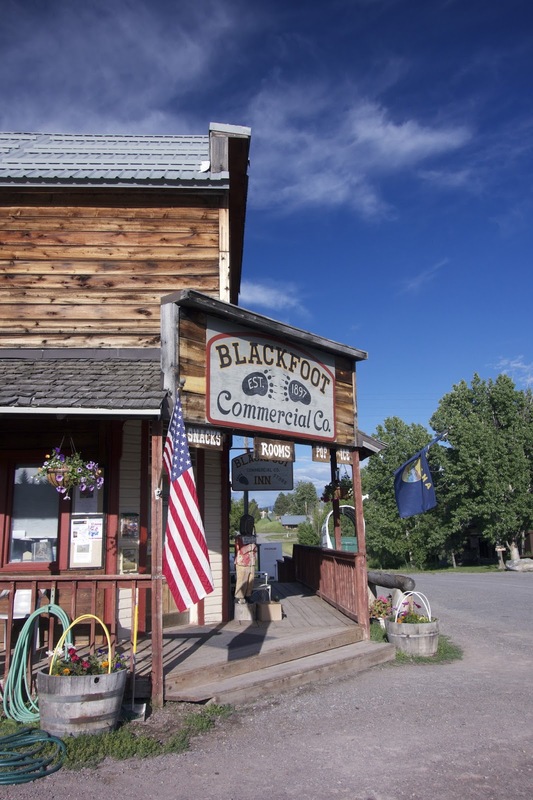 We rolled into town and fortunately the friendly owners of the Blackfoot Inn rented us a very nice comfortable room and let us park the truck out back while we were away on the tour. 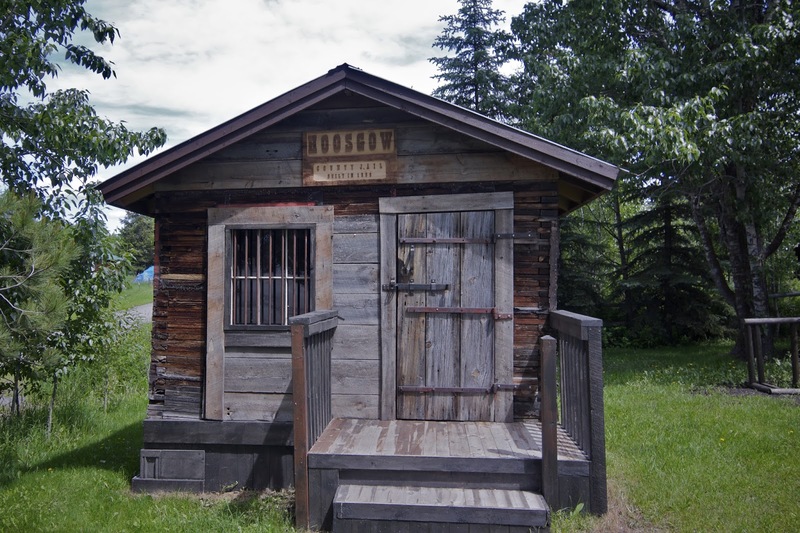 We chose to stay at the Inn in order to dry out, but if you are a cyclist on a budget or just want to camp out you can stay in the historic Hoosegow or the Sheepherder trailer for $5 donation or just camp on the museum lawn for free. Outdoor portapotty and solar shower are available. Historic town jail, converted to cyclist lodging. 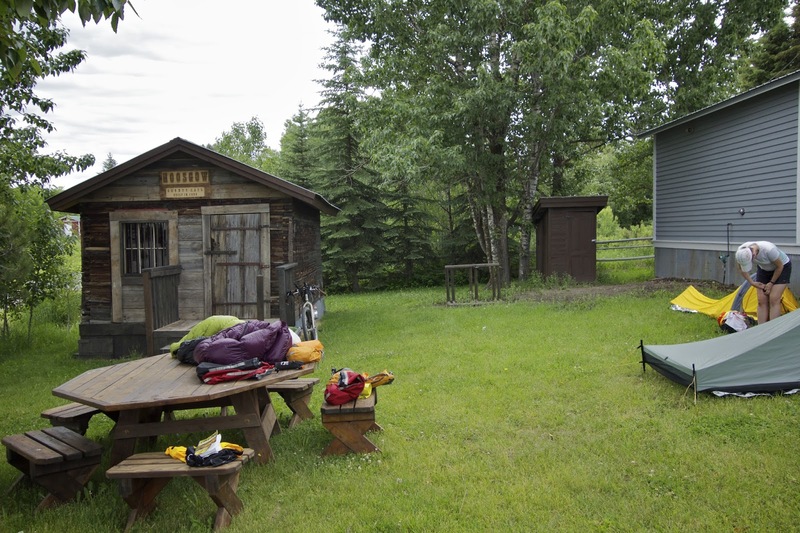 Sheepherder Trailer, outdoor toilet and solar shower in background. 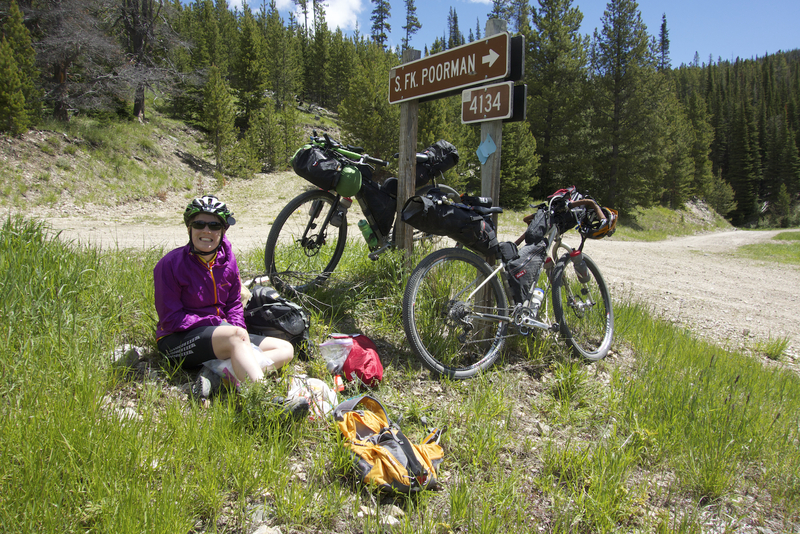 The next day we headed out on the Great Divide Mountain Bike Route to Helena, after a delicious breakfast at the Stray Bullet Cafe. Highly recommended, but somehow we did not photograph it. The ride made for a long day over the great divide three separate times with lots of climbing and descending in just over 100 miles. We travelled through Lincoln and then no more towns until Helena. The scenery was interesting, sometimes marred by clear cuts and old mines, but overall quite beautiful. We did hit some thick mud at the top of one of the divide crossings and of course I crashed in it, but no serious damage other than a beautiful bloody wound so on we went. 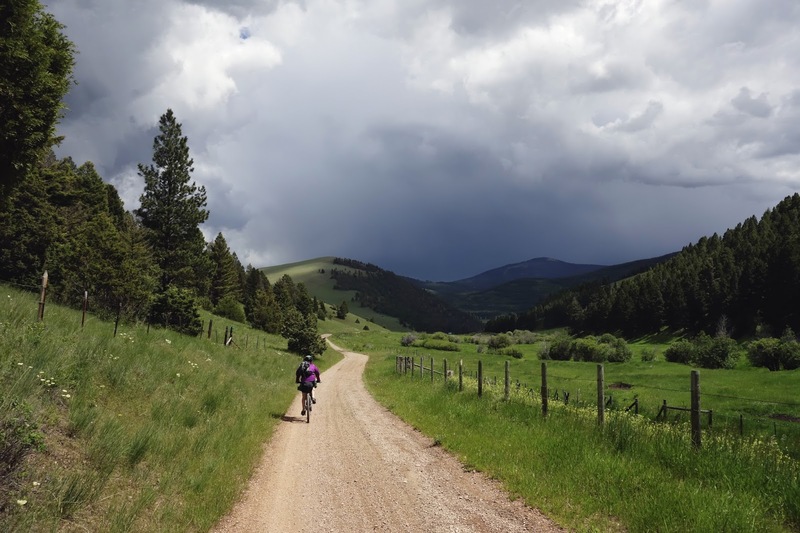 Beautiful riding, but clouds mean rain. 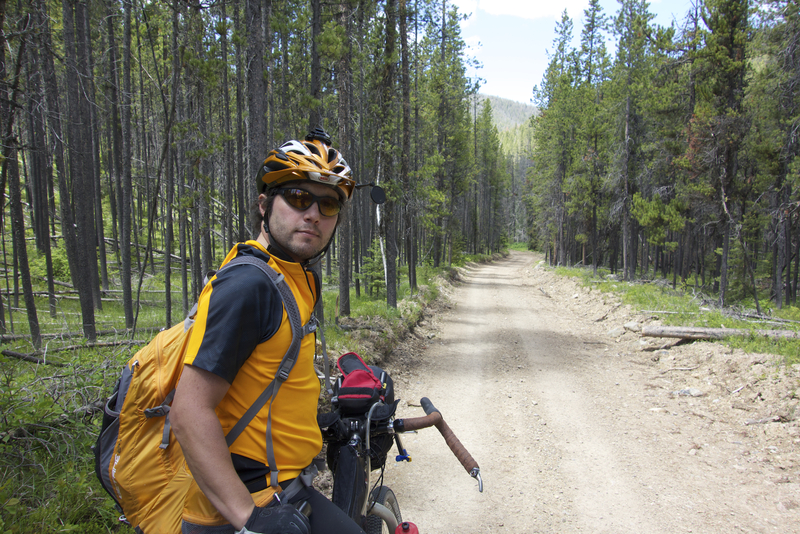 We ended up in Helena and were longing to get back to Ovando. We stayed on the outskirts of town and so did not explore much. Bright and early we headed back making a loop partially on pavement and partially on the GDMBR to Ovando. Still 100 miles but less climbing so we had more time for photos and picnicking. Once there the Inn was closed and two other groups were in town so we pitched our tent on the lawn. We were hungry once we arrived and so headed to Trixie's. Just the place to refuel and relax after a day's riding. The restaurant and bar is at the west end of town on a hill near the highway. A short walk or ride from camp. Again no photos, I guess it is hard to remember to snap a photo when you are hungry. 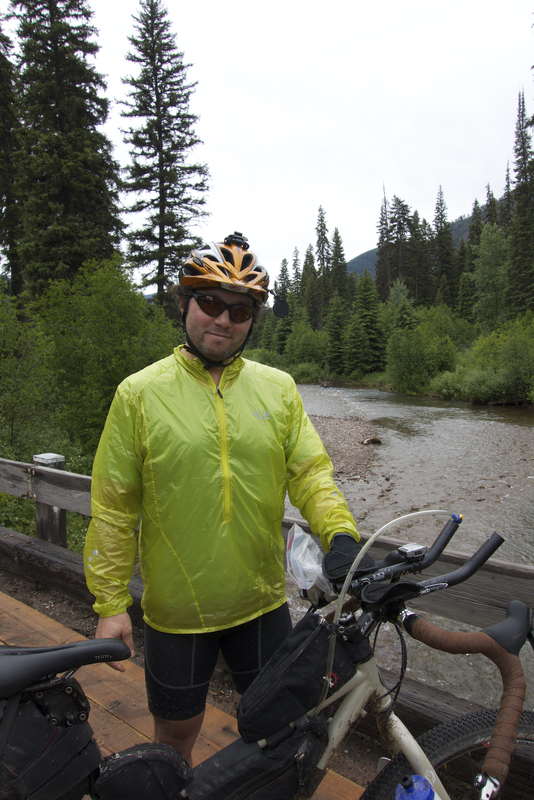 Our third day was a loop up to Seeley Lake and back on the GDMBR. More beautiful riding. We also saw many tracks of the racers who had come through a few days earlier. We had a great time in Ovando and found it had all we needed to start and end a tour. The local fly shop also carries a few basic cycling supplies. Overall highly recommended as a cycling destination or a stop off on a tour. Sounds like friendly small town USA is still alive and well. I'll plan on staying there when riding the Divide.